The Competition and Markets Authority (CMA) has launched an investigation into the takeover of one of the UK’s only remaining right-wing newspapers by the far-left Trinity Mirror Group. The CMA issued the initial enforcement order – or “hold separate” order – on March 1st initiating an investigation into the buyout of the Richard Desmond-owned Northern & Shell group by Trinity Mirror and its effects on media plurality. Last week, Trinity Mirror, which helped found groups like the radical left HOPE not Hate and has provided a platform for attacks on Brexit and British conservatism, completed its takeover of Northern & Shell’s UK publishing assets, which include the Express and Daily Star newspapers, in a £127 million deal. The “hold separate” order pauses further integration of the media businesses whilst the monopoly regulator conducts its investigation; the CMA has not announced when it will launch the merger enquiry. In response, Trinity Mirror said in a statement that its board “continues to believe that there will be no reduction in media plurality” as a result of the takeover “as each newspaper brand will continue with its current editorial positioning”. The media group added that “there will not be any detrimental impact on competition as a result of the Acquisition”. 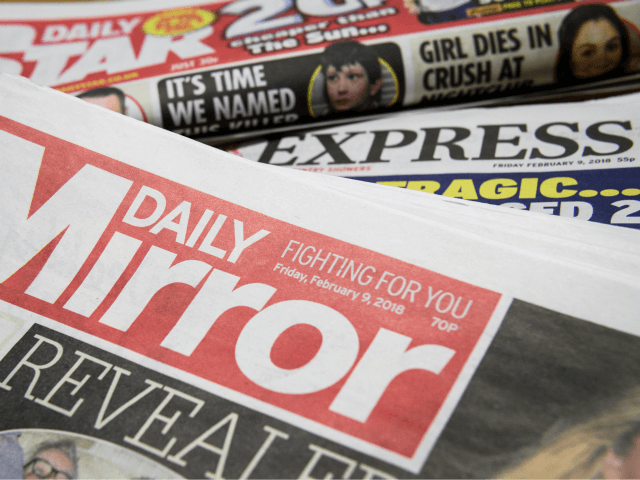 Trinity Mirror, which hopes to rebrand itself as ‘Reach’ subject to approval at its next annual general meeting, reported a £90 million (13 per cent) fall in group revenue to £632 million last year, the group blaming a “weak print trading environment” for the drop. The deal makes Trinity Mirror the largest publisher in the United Kingdom, owning the Daily and Sunday Mirror, the People, Scotland’s Daily Record, and 240 regional and local newspapers across the country. The group also purchased local media group Local World in 2015, adding a further 83 titles. The Northern & Shell acquisition adds the Daily Express, Sunday Express, Daily Star, and Daily Star Sunday newspapers, and the magazines OK!, New!, and Star to the left-wing group’s portfolio. Follow Breitbart London on Facebook and Twitter.